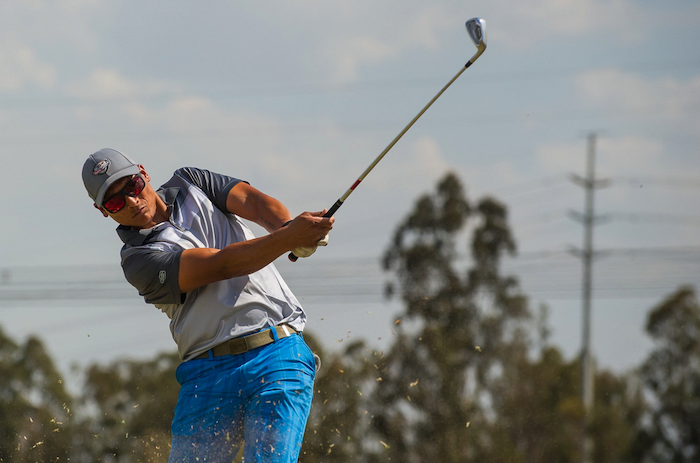 Known for his aggressive stroke play on the cricket field, Titans batsman Henry David has added finesse to his golf game with great results, writes WADE PRETORIUS in Compleat Golfer. Some of the credit must go to my brother because he often used to ask me to join him for a round. But since joining the cricket world, my passion has taken off and it’s been more than 10 years of fun and laughs on the course. I’m not sure who’s been feeding you your information. I play quite a bit, we have lots of free time, and you know, we get a lot of invites to play. Former teammate Paul Harris says you play more golf than cricket. [Laughs] Not quite. I did register about 100 rounds two years ago, but I’m down to 60 or so this year. Is that a lot? So what kind of a golfer are you? I’m off a 3.7 and quite decent. We have so many great courses in Gauteng, so there’s always somewhere to play. I used to be extravagant in my shot-making, but it’s more controlled now. I’m useful off the tee and my putting is good; I’m not the best, but I do sink my fair share. The more you play, the better your short game gets and escaping trouble helps shave shots off your round. Where do you play the most? I love Copperleaf; it’s trickier than it looks and the greens are so good. Serengeti and Gary Player Country Club are two near the top of my list. I like Pearl Valley, although I never play well there. Boschenmeer is so underrated – it’s beautiful and the tree lined fairways make it a good test. I shot 69 at Waterkloof. Fortunately, it was a morning game among mates, otherwise I may have been given a hot reception if it was on a club day. Any holes-in-one to speak of? go in. A wedge that pitched past the flag, spun back and dropped. That was a great feeling, especially at my home club. I enjoy it and get into all the Majors, but you won’t find me up at 2am – that’s where DStv Catch Up does the trick. Cricket players have a reputation for being good golfers. I think that’s only by reputation. Not all cricketers are excellent golfers from what I’ve seen and been a part of. So would you like to name anyone who doesn’t fit that tag? I have a few names, but couldn’t be so mean. Maybe I’ll go with our assistant coach Mandla Mashimbyi; he can be really good, but then he has his off days which are quite bad [laughs]. Tell us about your team golf matches. I play quite a bit with Dean Elgar, although he can be a bit of an emotional golfer. Myself and Albie Morkel have a really good match going against Mark Boucher and Chris Morris – it always goes down to the wire. A talented batsman who likes to score quickly, Henry Davids made his debut in 2000 against the touring New Zealand side before quickly racking up 336 runs in his first six matches. Capped at international level in the two shorter formats of the game, he has become a fixture in the successful Titans batting unit. He helped them secure the 2017 Momentum One Day Cup with a knock of 114 off 98 balls to cap off a campaign which saw him top the run-scoring charts.